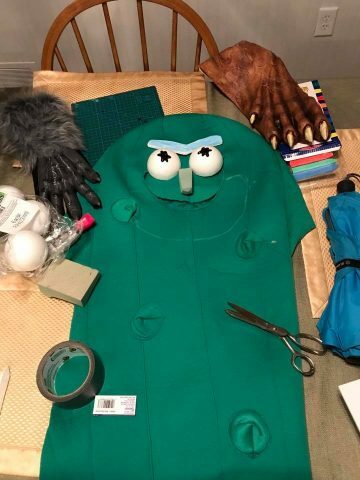 Pickle Rick As a Costume « Adafruit Industries – Makers, hackers, artists, designers and engineers! Rick and Morty debuted a bizarre and fantastic transformation in a recent episode: Pickle Rick. The character made himself into a preserved cucumber to avoid family therapy. 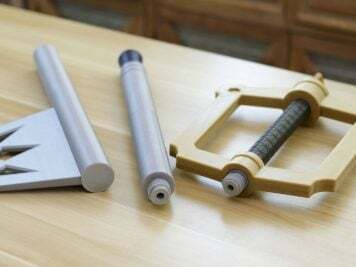 Cosplayer Capt Cash was probably not driven to make his costume for the same reason, but he was inspired by the character. 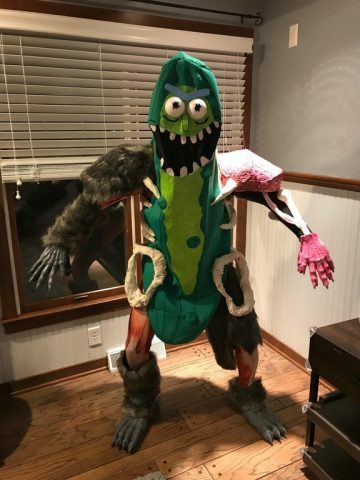 He acquired supplies a few weeks ago — a pickle costume, styrofoam spheres, an umbrella, and some monster gloves — and assembled his Pickle Rick cosplay in time for Dragon Con. He’ll be wearing it over the weekend at the convention; see if you can spot him and put him in a jar.